Rickie Fowler is one of the most popular players on the PGA Tour and he is especially popular with younger fans under the age of 30. But anyone who bets on PGA Tour golf tournaments should never bet on Rickie Fowler to win. 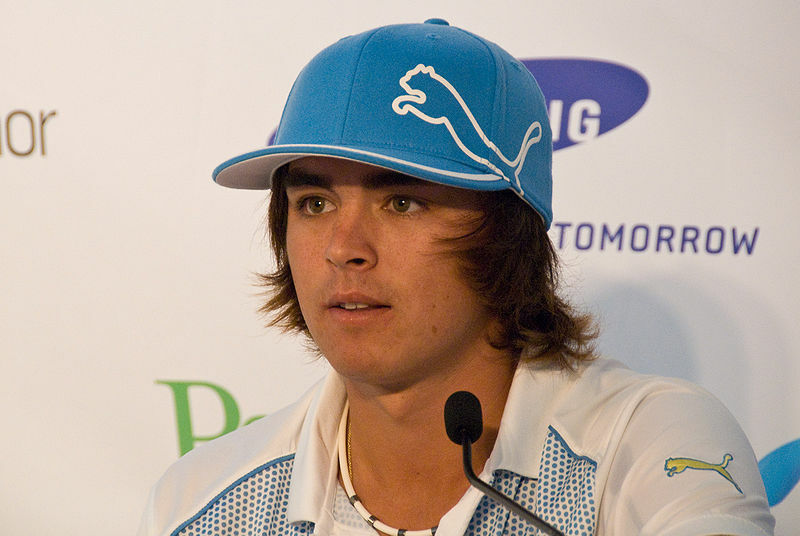 Why shouldn't you bet on Rickie Fowler to win PGA Tour golf tournaments? Because he rarely wins and he is always over-bet due to his popularity. Let me make one thing clear here, Rickie Fowler is a great golfer and certainly one of the best golfers in the world but he simply does not win enough tournaments to warrant betting on him especially because his odds reflect more his popularity than they do his realistic chances of winning. So far in his PGA Tour career, Rickie Folwer has won just 4 tournaments in 189 starts. That works out to a winning percentage of just 2.1%. That is not necessarily a terrible winning percentage for a PGA golfer but because he is such a popular golfer always mentioned in the press as being great, his odds are always too low to bet given his real chances of winning. This week Rickie Fowler is playing in the 2017 Quicken Loans International and he is the betting favorite to win at odds of 7 to 1. A player with a lifetime winning percentage of just 2.1% should be a lot higher odds than 7 to 1. Justin Thomas is the second choice in the betting odds to win the 2017 Quicken Loans National at 11 to 1. Like Rickie Fowler, Justin Thomas has won 4 times on the PGA Tour but Justin has only played in 84 tournaments. So his winning percentage is 4.8%. Based upon the odds offered and the winning percentages of Rickie Fowler and Justin Thomas it's clear that Justin Thomas is a better win bet this week than Rickie Fowler is. Patrick Reed is odds of 14 to 1 to win the 2017 Quicken Loans National. Patrick Reed has won 5 PGA Tournaments in 144 starts for a win percentage of 3.5%. Obviously, based upon his past record Patrick Reed is a better bet to win this week than Rickie Fowler is. Here are the odds for the three players and their win percentages. Who would you bet on this week? Which one of these three favorites in the betting odds is the best bet this week? Justin Thomas has the best win percentage while Patrick Reed has the best odds offered. The one thing you can say for sure is that Rickie Fowler has the lowest odds AND the worst win percentage. He's clearly the worst bet of these three betting favorites this week. That doesn't mean Rickie Fowler won't win this week but over the long run placing low odds bets on players who rarely win will never be profitable for any gambler who likes to bet on golf. Unless and until Rickie Fowler becomes a less popular player he will always be a poor win bet on the PGA Tour. That's why you should never bet on Rickie Fowler to win a PGA Tour golf tournament. Correct list of bookmakers on betting portal Gambling&Sports. Top of bookmakers.